As per the information declared by the seller, RERA registration is not required for this project. 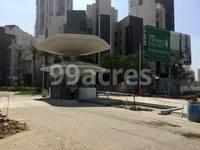 99acres is only an medium for showcasing information provided by the source. Kindly authenticate this information independently. Nestled amidst beautifully landscaped gardens, Ireo Victory Valley is a residential property in Sector-67 of Gurgaon, developed by the famous real estate group, Ireo Management. Having designed in a modern fashion, the Ireo Victory Valley offers beautifully crafted 2BHK, 3BHK, 4BHK flats at affordable price list that will not burn a hole in your pockets. The project provides easy accessibility to the important commercial and business areas of Gurgaon. Victory Valley is the tallest residential complex with 51 floors, the luxury of living in the clouds affords a breathtaking a view of the skyline. What is the project location?The project is located at Sector-67, Gurgaon. What is the area of apartments in Ireo Victory Valley? The area of apartments offered in the project ranges from 1435.0 sqft to 7500.0 sqft. What is size of 2 bhk in Ireo Victory Valley? 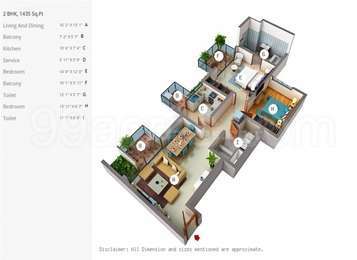 The area of 2 BHK apartments ranges from 1435.0 sqft to 1470.0 sqft. What is the 3 bedroom size in Ireo Victory Valley? The area of 3BHK units in the project varies from 2382.0 sqft to 2698.0 sqft. How much is area of 4bhk in Ireo Victory Valley? The area of 4BHK units in the project varies from 2847.0 sqft to 5977.0 sqft. What is the total area of Ireo Victory Valley?The project spans across 25.0 Acres. om diverse backgrounds to lead initiatives and to deliver best in class products and services to our customers. Ireo investor base consists of blue chips and globally renowned financial institutions. Is it a wise decision to invest in Ireo Victory Valley? Hi Rahul! Ireo Victory Valley will be a good project for investment because it is located along with Sohna Road which has been fastest growing residential corridor with adequate infrastructure and commercial hubs in proximity. Also, owing to upcoming infrastructure projects such as Gurgaon-Sohna elevated road and metro expansion from HUDA City Centre to Dwarka, we can expect healthy property appreciation in the future. Hi Rahul! There has been a dip in prices of Ireo Victory Valley in the last six months of almost 3%. However, there is scope for earning rental income from your property in this society since offices like Genpact and Convergys are not more than 20 minutes away from this area. In addition, there is a co-working space concept by Plus offices coming up in this area which is anticipated to have a positive impact on the property rates in this society. There is also a proposal for a multispecialty hospital wing in Sector 67 in the future which will further impact the property rates in this area.  You can also consult a property dealer to help you explore other projects in this area as well. I am buying an apartment in Ireo Victory Valley for my parents. What all facilities are there for senior citizens in this society? Hi Geetika! Ireo Victory Valley is a gated society with CCTV cameras and security guards present at all times to ensure full safety. The towers are made earthquake resistant to ensure there is no chaos during an unforeseen situation. Besides, there is a dedicated area for yoga and meditation along with a senior citizen sit-out. Also, there is a departmental store inside to meet all day to day requirements. In addition, W Pratiksha Hospital and Park Hospital 7km away from this society. Temples like Durga Temple and Prachin Shri Ram Mandir Ramgarh are 7 minutes away.